What I love about Vitamin C Serum is that it helps heal my face from the damage the sun has done over the years. Not completely but noticeable. Like other busy moms the last one you put Sun Screen on is yourself if you get to it at all. I am one of those people who burn easily if not protected, and 15-20 minutes on the wrong day can send me into heat stroke, which has been a problem since I was little. Vitamin C Serum is easy to add to your skin regime and comes in a glass dropper bottle. Remember a little goes a long way. Here is to telling the sun to leave our skin alone. You can purchase Life Essentials Skin Care on Amazon. What life essentials has to say about their product. - This Powerful Anti-Aging Serum Has Been Formulated For Men & Woman With 20% Vitamin C & A Concentrated Base Of Pure Vegan Hyaluronic Acid To Smooth, Freshen & Revitalize Your Youthful Complexion. 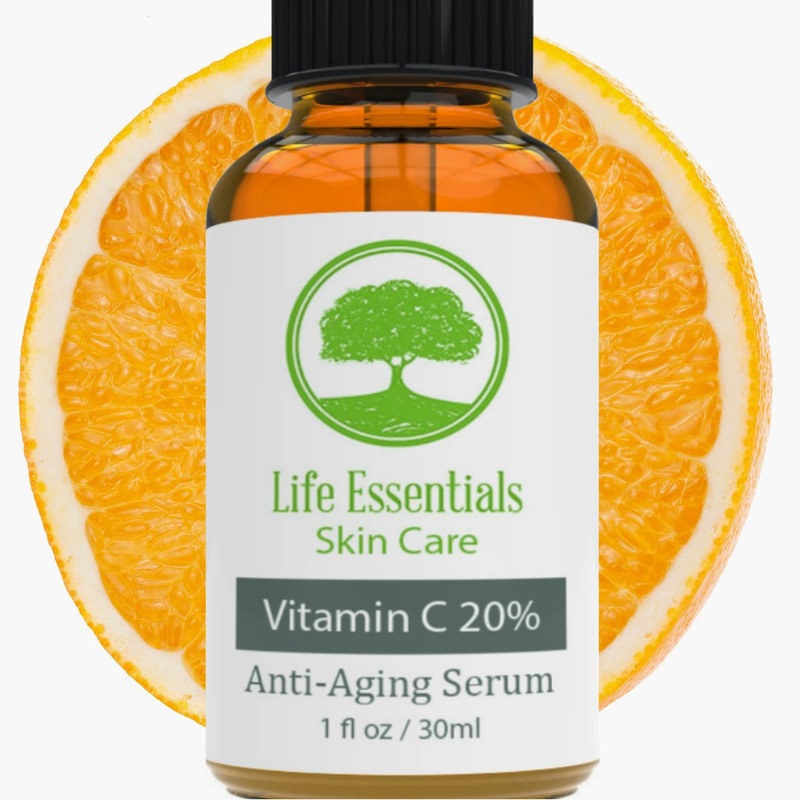 - YOU WILL LOVE THE RESULTS: Life Essential's Vitamin C Serum Will Dramatically Increase Collagen Production Resulting In A Much Smoother & Even Skin Tone. In Addition, The Serum Aids In Fading Dark Spots, Acne Scars, Stretch Marks & Even Works As A Melasma Treatment. - HIGHEST QUALITY OF ORGANIC INGREDIENTS: Life Essential's Vitamin C Serum Is Formulated With All Natural, Organic & Vegan Ingredients. Vitamin C Serum Will Be Your Skins New Best Friend. Perfect For Even The Most Sensitive Of Skin Types. - MADE IN THE USA: Life Essential's Vitamin C Serum Is Proudly Formulated Here In The USA In An FDA Registered Laboratory & Is Cruelty Free (We Have Never & Will Never Test Our Product On Animals). - 100% SATISFACTION GUARANTEE: As A Family Company, We Only Sell Product We Are Proud To Use Ourselves. We Know You Will Love Our Vitamin C Serum, But If For Any Reason You Are Unsatisfied With Your Purchase, We Will Refund Your Money, No Questions Asked. In Fact, You Don't Even Need To Return The Bottle. WE LOOK FORWARD TO WELCOMING YOU INTO THE LIFE ESSENTIALS SKIN CARE FAMILY!